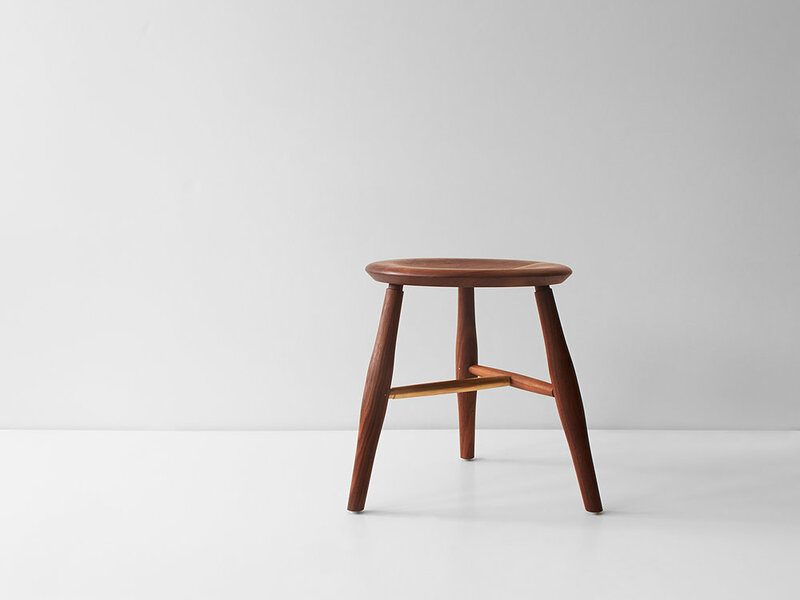 The Swell Stool is a turned and carved dining-height stool with a comfortable 16-inch diameter seat. Available in Black Walnut (natural, oxidized or ebonized), Maple, White Oak (natural or oxidized), and Cherry. Available with brass or wood rung.